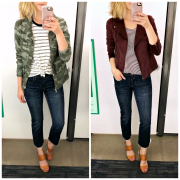 Several of you have recently asked about fall trends, so I’m tackling this topic & sharing what I believe are the most wearable trends + giving my tips for how to incorporate them into your everyday wardrobe. I’m excited to be partnering with Stein Mart to share 3 new looks + highlighting a special sale that you won’t want to miss out on! When I was living in Oregon, we didn’t have a Stein Mart – so anytime we visited family out of state, it was one of the top places I wanted to shop while we were vacationing. When we moved to North Carolina, I was thrilled to discover there was a store within 10 minutes from our house (and we have the same here in NY)! 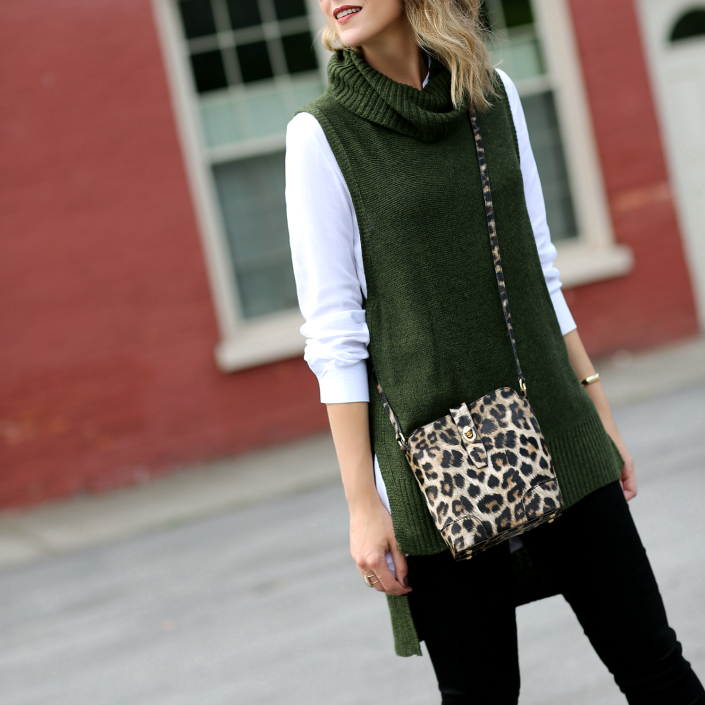 But, if you don’t have a location near you, they also have an amazing online store with an incredible selection of affordable styles (obsessed with these over-the-knee boots) and some high-end designer pieces (like this gorgeous saddle bag). Today they are launching a special event called Boutique Week, which runs September 12th-18th. You can shop the latest collection online now & there will be a Boutique Showcase taking place on Saturday, September 17th in all Stein Mart stores (doors open at 9am). On September 16th & 17th, they are also offering a discount code for 20% off any one Boutique item in stores & online when you use code BTQSALE. 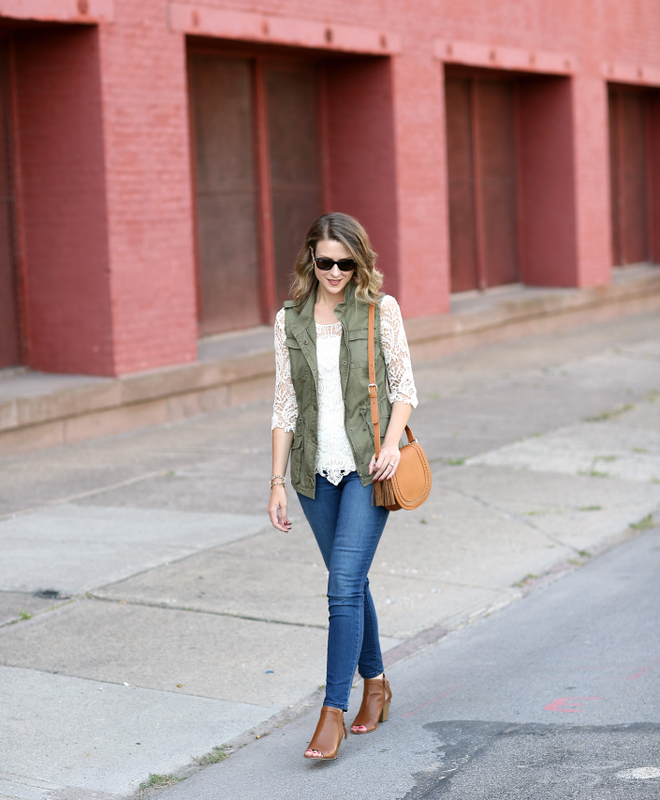 Suede is a big trend for fall this year, so I wanted to feature something that you can wear many different ways. I’m all about investment pieces that I can actually afford – this suede moto jacket is 100% genuine leather and the color is so rich & beautiful. It’s one of those things you will have for years to come and will only get better with age as it softens & breaks in. You can pair this with a simple top & jeans for the weekend (add a scarf if it’s cooler where you live) or add some edge to a feminine look by wearing it with a pleated midi skirt & booties. 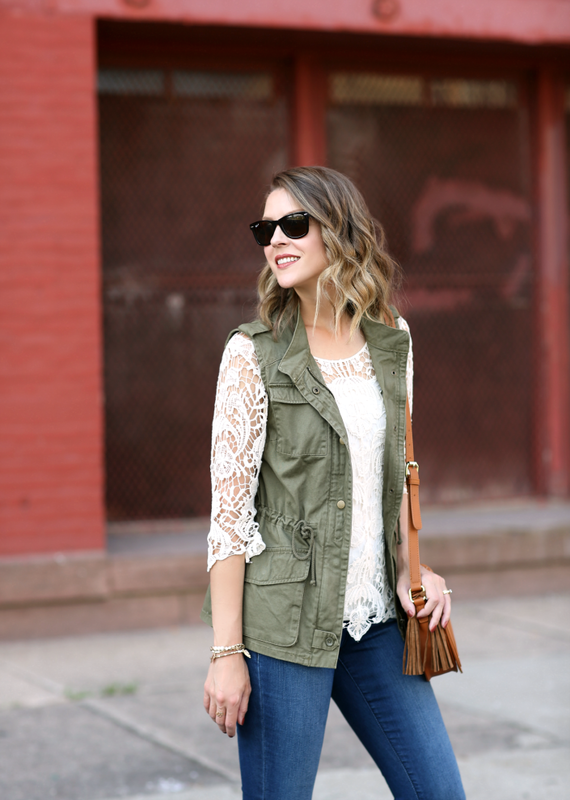 At under $100, it’s a seriously chic steal! Another trend for the season is feminine tops and while I love all the pretty off-the-shoulder styles, I’m wanting to focus on more versatile pieces. The intricate crochet detail on this blouse is so pretty & because of the open-knit, I’ll be able to wear this now & again in the spring/early summer. Other blouses I’m loving are this bell-sleeve top, this pleated blouse & this plaid shirt. 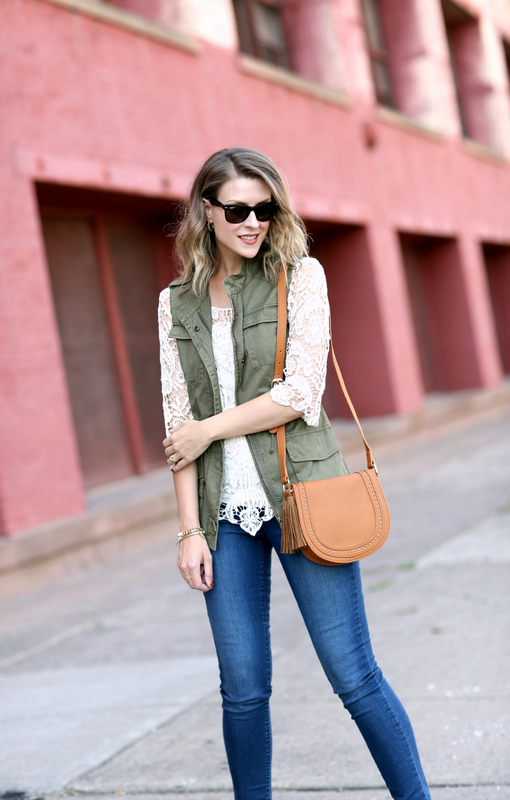 Cargo vests are one of my favorite layering pieces and this one has just the right fit & length for pairing with jeans & over casual dresses (jacket version here). 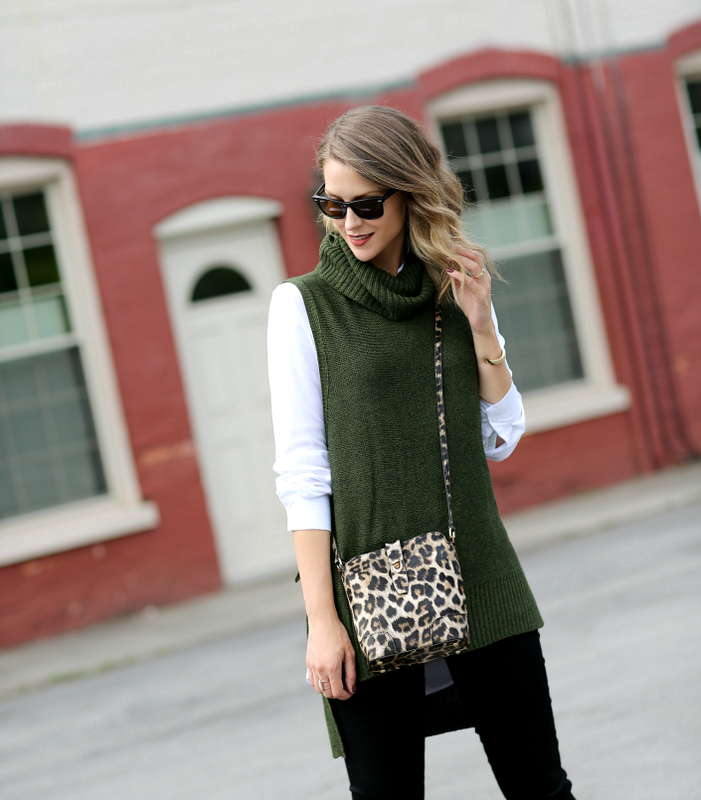 If you’re not a fan of olive green, this draped vest is a great alternative). I love that I can cinch in the waist using the adjustable ties for a figure-flattering look. 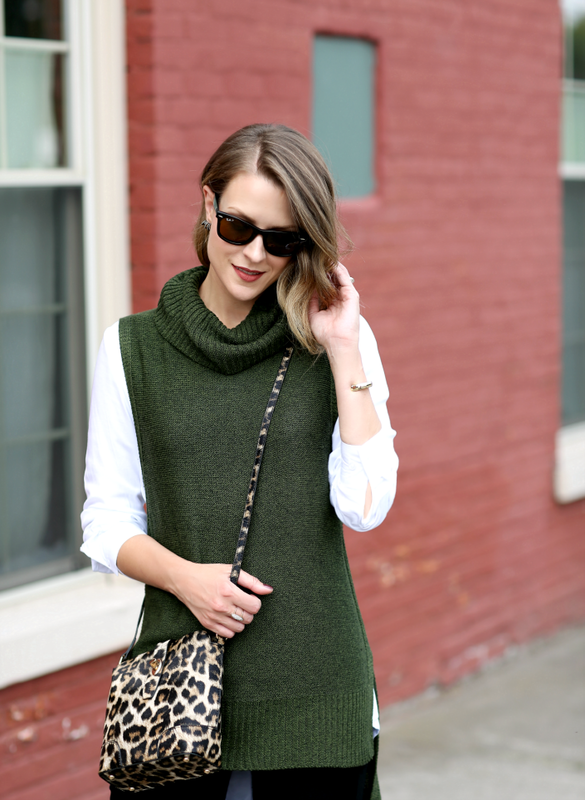 I jumped on the sleeveless turtleneck trend last year & am so happy to see it still going strong. 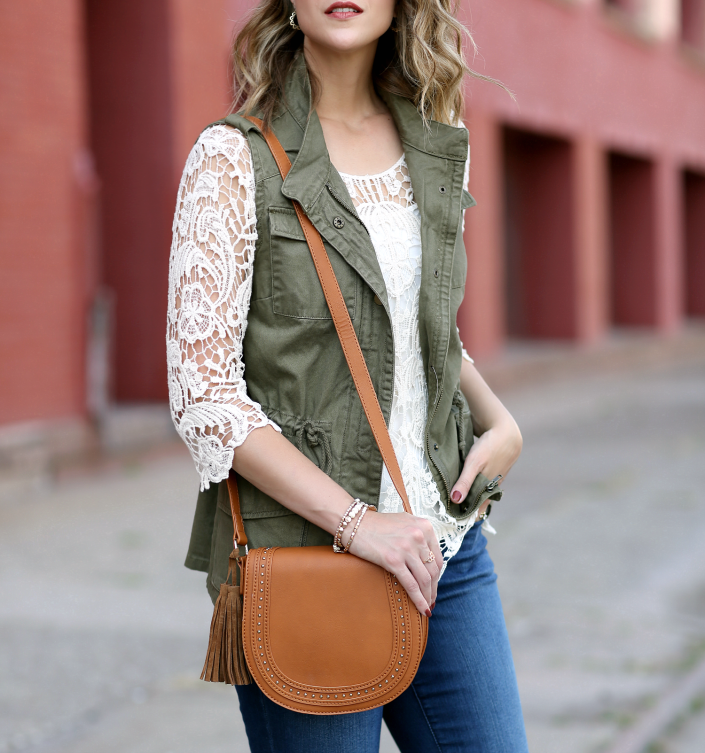 These are great because you can wear them with just a cami underneath for early in the season, then a long-sleeve tee or lightweight shirt for later in the fall. 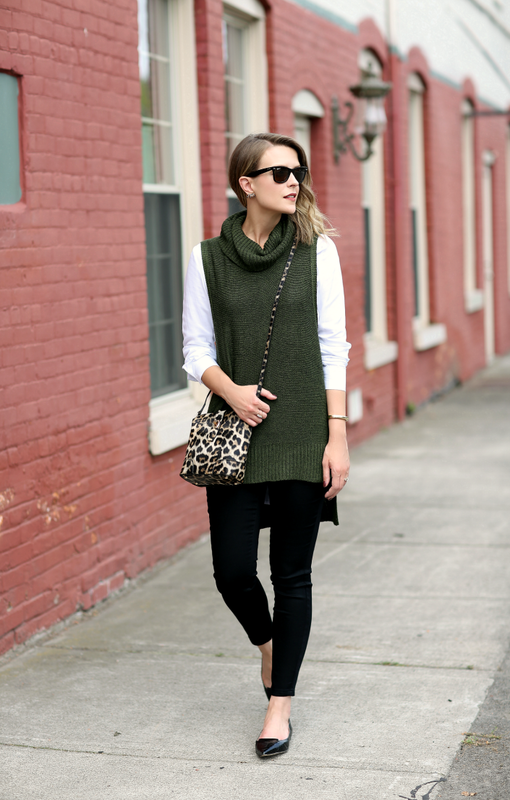 Because of the longer length, you’ll want to stick with skinny jeans or pants to keep proportions in check. More versatile knitwear to love: this striped crewneck, this boyfriend cardigan & this cable-knit sweater. 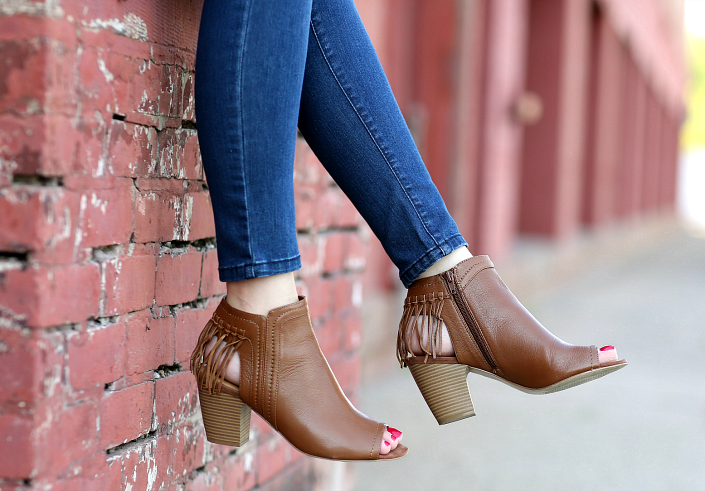 These jeans are the softest pair I’ve ever put on (more like jeggings) and they hit at just the right spot on the ankle so you can wear them with ankle boots or comfortable flats. Thank you to Stein Mart for kindly sponsoring this post.